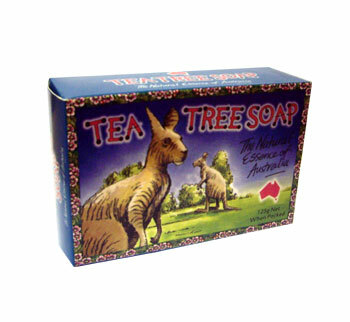 This special soap contains tea tree oil, known for its antiseptic properties. Concentrated tea tree oil is distilled from the leaf of the Australian Melaleuca Alternifolia tree. Characteristics of this soap are the unique spicy tea tree oil aroma and the fresh feeling imparted to the skin.